Oklahoma City’s Devon Energy reported major increases in oil production in the second quarter of 2018 but also saw a net loss of $425 million in earnings. The company said excluding the impact of noncontrolling interests, its net loss was $355 million It also said the results were impacted by certain items securities analysts typically exclude from their published estimates. But the adjusted earnings before interest, taxes, depreciation and amortization reached $1 billion in the quarter. Operating cash flow totaled $269 million in the quarter but it too was affected including by restructuring charges and a non-cash foreign exchange loss. The company said the impact was driven by foreign currency denominated intercompany loan activity resulting in a realized loss of $244 million as a result of the strengthening of the U.S. dollar in relation to the Canadian dollar. Pursuant to regulatory disclosure requirements, Devon is required to reconcile non-GAAP (generally accepted accounting principles) financial measures to the related GAAP information. Reconciliations of these non-GAAP measures are provided within the tables of this release. 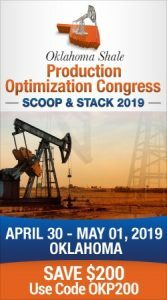 But the company’s oil production was key in the quarterly report as its operations in the Delaware Basin and Oklahoma’s STACK drove the U.S. oil production beat. Devon’s report indicated the oil operations attained the highest margins and returns in Devon’s portfolio. Light-oil production in the U.S. averaged 136,000 barrels a day which was a 12 percent increase over the first quarter of 2018. The strongest asset-level performance for the second quarter was from Devon’s Delaware Basin assets where light-oil production was up 54 percent over the year. Devon’s top 10 wells in the quarter in the Delaware averaged initial 30-day rates of nearly 3,000 Boe a day. But its operations in Oklahoma’s STACK also had strong results with total production up 26 percent compared to the second quarter of 2017. Oil production delivered the highest growth rate increasing 41 percent from a year earlier. Devon’s overall total production averaged 541,000 BOe per day for the second quarter. Oil accounted for the largest component of the product mix at 45 percent of total volumes. 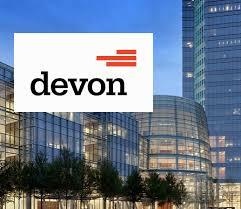 “Devon is executing at a very high level on our 2020 Vision,” said Dave Hager, president and CEO. “Operationally, our second-quarter performance was headlined by strong well productivity in the Delaware Basin and STACK, which drove light-oil production above the high end of our guidance expectations. “With the strong well productivity we’ve achieved year to date in the U.S., light-oil production growth is on track to advance 16 percent in 2018, which is 200 basis points above our original budget expectations,” said Hager. In conjunction with closing the EnLink transaction, Devon’s board of directors authorized an increase in the company’s share-repurchase program to $4 billion. This authorization represents the largest share-repurchase program in the upstream industry when measured as a percentage of market capitalization. At the end of July, Devon had repurchased 24 million shares, or nearly 5 percent of outstanding shares, at a total cost of approximately $1 billion. Read more of Devon’s report by clicking here.